How many of you have a family member who has the same smile as you? I do. I have 3, my mother, my sister, and my aunt. We all owe our beautiful smiles to my Grandma Lilli. Here’s a fun fact, I also owe my sparkly inclined nature to her as well, but that should rest until I write about her again. I found it particularly enjoyable to be stared at in Asia with you Debbie. It’s funny how as human beings we are drawn towards things with our eyes. We are visual beings, I understand this. I took many, many psychology classes while an undergraduate, however, why must we stare as we ponder? I’m sure I’ve been guilty of this a handful of times. However, I like to think that I am inconspicuous. Although, that’s probably not the case. With that being said, it must be our smiles. 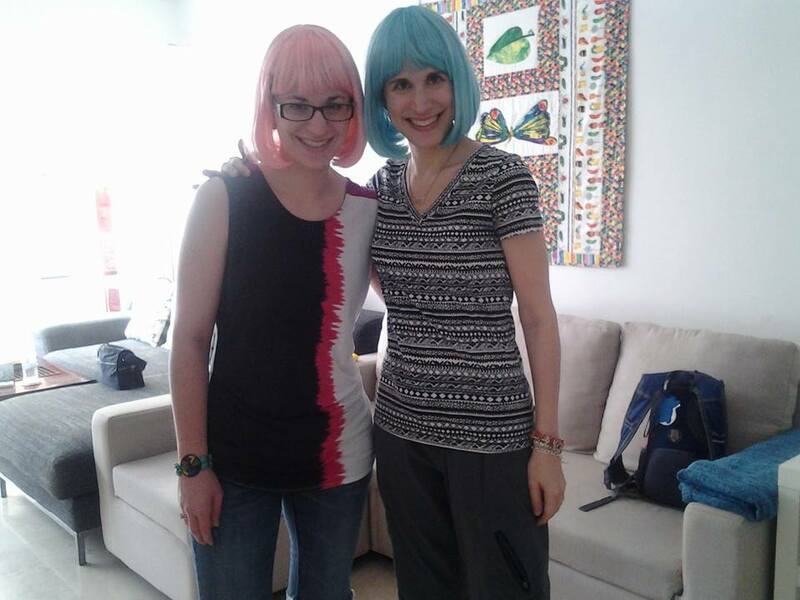 When we ventured around to an appointment in our incognito cotton candy colored wigs we were quite the delightful pair Debbie. Anyway, we were going from area to area and someone charmingly said, “Wait, are you twins?” Now, at first it was cute. After that lovely human encounter, it continued to happen. I started to get annoyed, I think Debbie was completely delighted. Haha, to be 14 or 15 and completely obnoxious again, good times for all the family around me. 🙂 (Thanks mom and dad for putting up with me…) By the end of the day, I was thoroughly annoyed but secretly amused. I’d always wanted a twin. I never really thought of Debbie as my doppelganger, but there she was! My second favorite memory of being mistaken for you was at a Battle of the Books event. The SWEETEST student came running up to me in the parking lot saying, “Mrs. Alvarez, oh my gosh….” and she literally stopped in her tracks and covered her hands with her mouth and then blurted out, “Oh wait, you’re not Mrs. Alvarez, you’re her sister. WOOOOOOOOPS!” She proceeded to do a prompt about-face and plow across the lot back into the building. This having been later in my life, I was completely tickled pink. 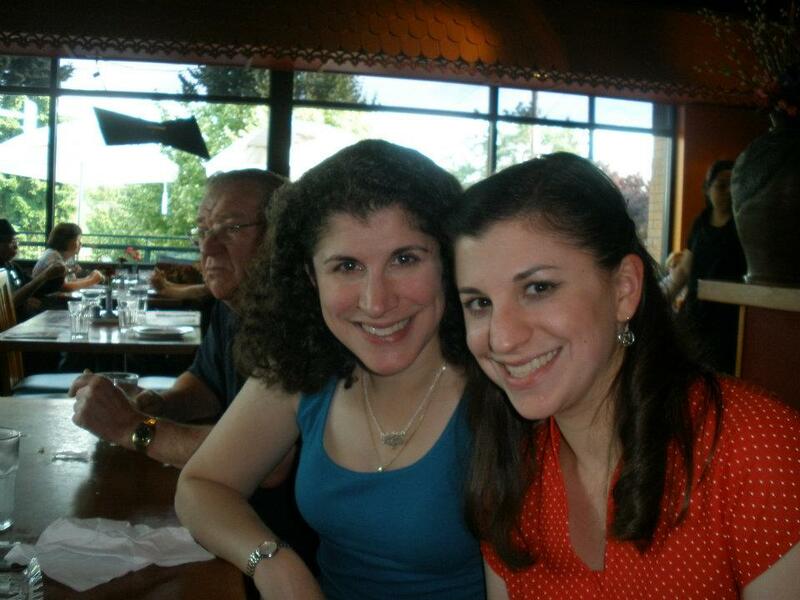 How adorable to be mistaken for my beautiful, caring, and creative sister. I loved it! So if my ramble thought process was not clear, here is my idea with this here blog: I’m so glad to have you as my un-identical twin. I find it flattering and hilarious. We’ve got good skin and great smiles thanks to our Momma. I love you! Keep smiling and sparkling today and always. I can’t wait to be asked if we’re twins again this summer. xoxo.